Bill Strathmann is Network for Good’s CEO and is a member of its Board of Directors. He is a social entrepreneur, who throughout his career has traversed sectors, bringing good business practices to corporations and nonprofits alike. Bill has led Network for Good through twelve years, six acquisitions, $1.5 billion to charity, and its spinout from nonprofit to B corporation. He came to Network for Good from Andersen Business Consulting as a strategy and merger specialist, where he built and led a consulting practice serving large nonprofits including the Nature Conservancy, National Geographic Society, National Association of Home Builders and the United Way. Bill has also served as Chairman of the Social Enterprise Alliance, and currently serves on the boards of A Wider Circle and Soles 4 Souls. He is a co-author featured in the book, People to People Fundraising – Social Networking and Web 2.0 for Charities. Bill has a bachelor’s degree in philosophy from Haverford College and a master’s degree in business administration from the Darden School at the University of Virginia. With more than 20 years of experience, Maria Canfora, Chief Financial Officer (CFO) for Network for Good is an award-winning seasoned technology and finance leader with a track record for success, guiding two early-stage start-ups successfully through the public offering process (IPO), including Cvent and InPhonic. During her tenure at Arthur Andersen, she also led the IPO for an established multi-million dollar global commercial finance company, Heller Financial (now owned by GE Capital), as a Senior Auditor. In her role at Network for Good, she leads the human resources and the finance departments, while playing a crucial role on the executive team, to assist in driving the brand, product direction, lending a voice to all corporate partnerships, which include nonprofit transactions through Facebook, Google, YouTube and others. Before joining Network for Good, Maria served as Vice President and Global Controller for Cvent, Inc. During her tenure, she directed the accounting and tax functions for the company including its successful IPO (NASDAQ: CVT) in 2013. Over the years, Maria has held senior finance positions at Gratis Internet, and Spruce Media. She was instrumental in the successful IPO for InPhonic (NASDAQ: INPC) in 2004. Maria began her career at Arthur Andersen in its Chicago audit practice and led her first IPO in 1998 for one of the firm’s largest clients, Heller Financial (NASDAQ: HF), now owned by GE Capital. 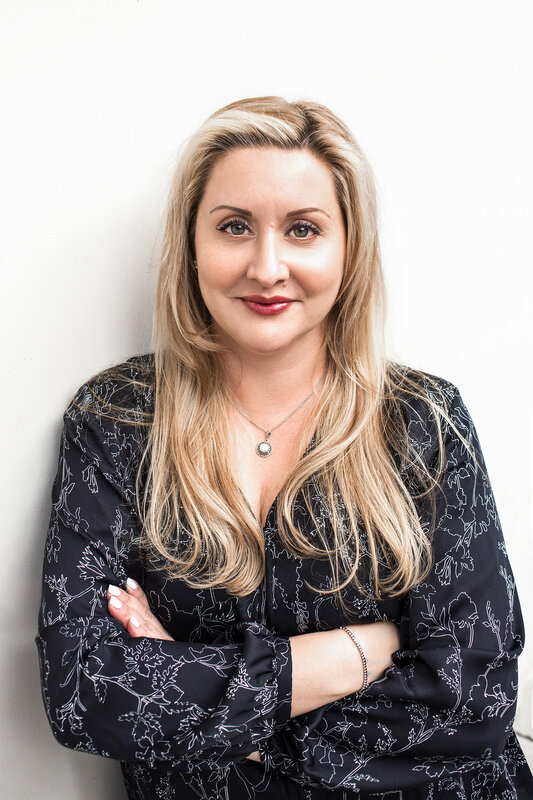 Maria has received two distinguished awards reflecting her experience and quick rise among the women of technology and business elite in the Washington, DC area, including the 2017 Trending 40 The NEW Power Women of DC Tech in Oct. 2017 and the Women in Technology’s leadership award in 2014. Maria holds a B.S. in Accounting and International Business and a B.A in French and Italian from Indiana University, Bloomington. Sean Zito leads strategy, product marketing, product development, and technology operations for Network for Good. Sean’s focus is helping organizations do more good through web, mobile, and social platforms. Sean joined Network for Good when the company acquired GiveCorps, where he was serving as Vice President of Product. Sean is an e-commerce expert and product leader with deep experience in payments, new ventures, product management and building network platforms. Sean also volunteers as a Scout leader, mentor, and an active member of his church. Prior to GiveCorps, Sean was Director of Product and Marketing for PayPal, an early employee of BillMeLater, and a graduate of the University of Maryland, Baltimore County (UMBC). Bob Deily manages and coordinates the activities of Network for Good’s nonprofit Donor Advised Fund including managing all financial, risk management and oversight activities for the fund and managing the day-to-day activities of Network for Good’s nonprofit organization. Prior to joining Network for Good, Bob was the founder and owner of MBAWare, an online retailer of business software for CPAs, CFOs and other financial professionals. He was the CFO and EVP of Finance and MIS for the North American subsidiary of Swisscom and was a principal/financial management consultant at CGI-AMS for clients like AT&T and Verizon. Bob has a bachelor’s degree in Computer Science from the University of Virginia and an MBA from Georgetown University.